Never do the same work twice. 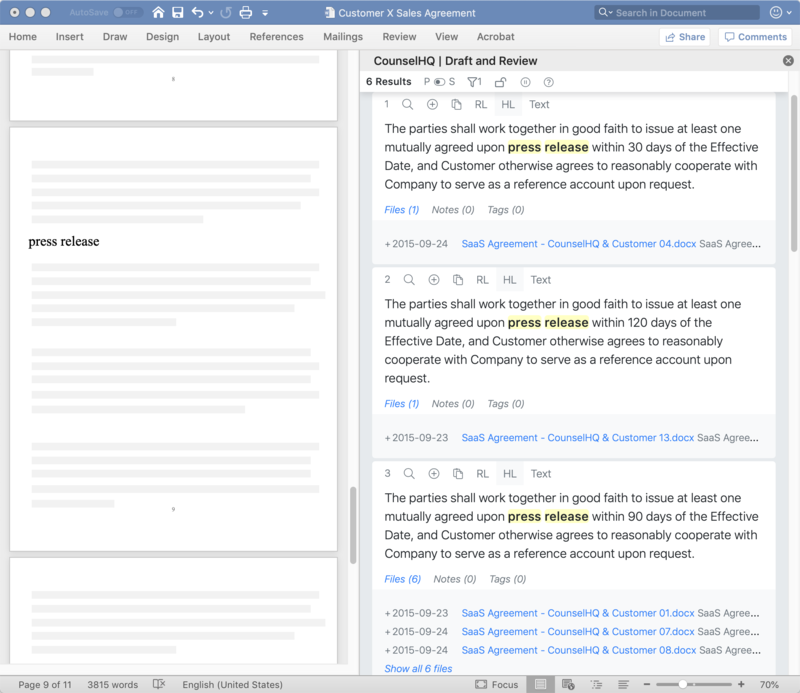 CounselHQ looks at the sentence or paragraph you're working on to continuously suggest relevant language from your past documents. No templates to setup or maintain. Just upload your documents to get started. Quickly reuse any language from your past documents. Identify common and one-off deviations in language in seconds. Run redlines against similar language from all your documents at once. Know exactly which documents contain specific language. Do all of the above without leaving Microsoft Word! Let's say you're negotiating a sales agreement. The customer agreed to a press release, and you want to add language that holds them to it. You start a new paragraph in your sales agreement and start typing "press release"
CounselHQ immediately finds relevant provisions your team has used in the past. You believe 90 days sounds reasonable, so you decide to start with language from the third result. With a couple clicks, you replace "press release" in your current document with your desired language. With the full provision now in your document, CounselHQ automatically runs another search. You're able to quickly see that the only difference between the three results is the time frame (30 days vs 90 days vs 120 days). You feel confident with this language and can move on to your next task. 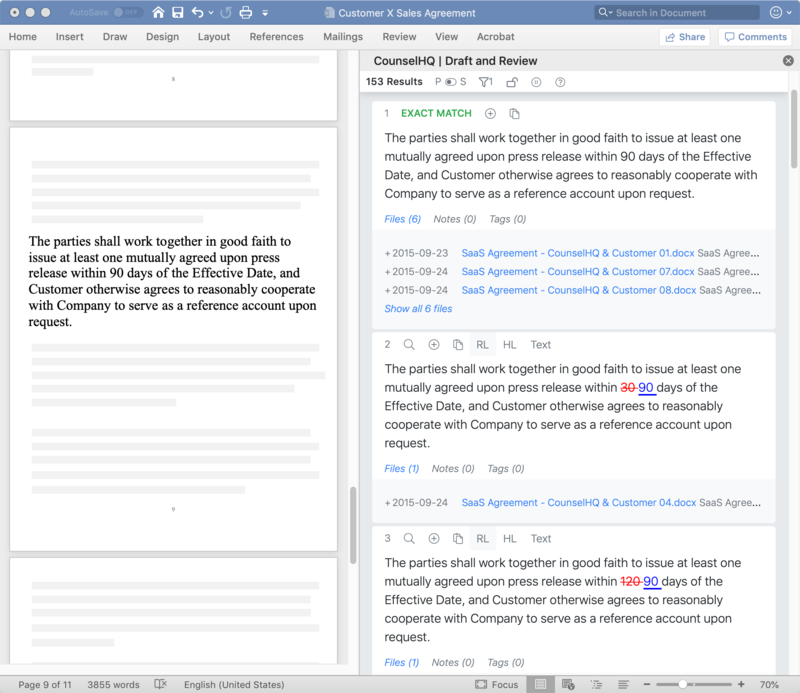 As you look over the rest of the sales agreement, CounselHQ continues to aid your review with actionable business intelligence from your past documents. We also make it simple to add notes to guide future drafting and review processes. CounselHQ is a powerful and flexible software platform. Click on a solution here to learn more, or contact us today to discuss the specific needs of your business. 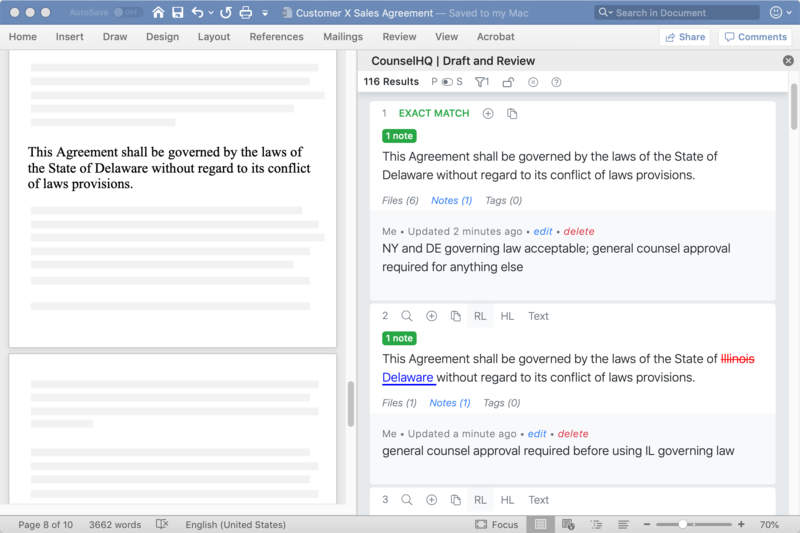 CounselHQ is well-suited for law firms, in-house legal departments, and compliance professionals. Draft and review documents more effectively. 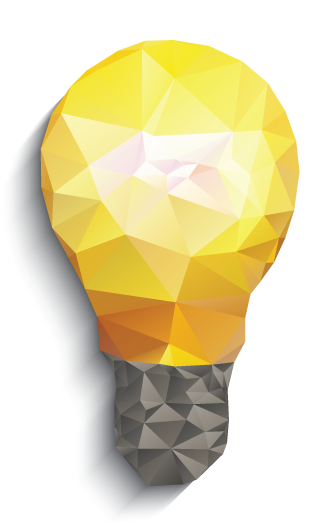 Leverage existing proposals to create sales proposals in less time. Ensure consistent company messaging across your marketing materials. Efficiently review vendor contracts to reduce turnaround times. Never again resort to static and out-of-date playbooks. CounselHQ helps you find relevant content from your research materials as you type. Empower new employees with the knowledge they need to add immediate value to your organization. CounselHQ runs on Amazon Web Services, the trusted cloud provider of more than a million customers, from startups to Fortune 500 companies. AWS designs and manages this underlying IT infrastructure in alignment with security best practices and strictly controls physical access to its data centers. CounselHQ securely encrypts communications between your computer and our infrastructure on AWS and employs numerous information security controls and techniques to safeguard your data. Please feel free to contact us with any questions. CounselHQ can help your business.